On April 21, 2016, about 1140 central daylight time, a Mooney M20C, N6870N, was destroyed when it impacted trees and terrain after the engine lost power shortly after takeoff from William R. Pogue Municipal Airport (OWP), Sand Springs, Oklahoma. The pilot sustained minor injuries. The airplane was registered to and operated by the pilot under the provisions of Title 14 Code of Federal Regulations Part 91 as a personal flight. Visual meteorological conditions (VMC) prevailed and no flight plan had been filed. The airplane departed OWP and was en route to Ponca City Regional Airport (PNC), Ponca City, Oklahoma, when the accident occurred. During the preflight inspection, the pilot noted there was no contamination or water in the fuel, and the fuel was blue in color, similar to 100LL. He did not dip-stick the fuel tanks, but the [fuel gauges] "indicated fuel on board was ¼ tank on left and 1/3 on right, for a total of 15-16 gallons." According to the pilot's accident report, there was complete loss of engine power during initial climb. The pilot made a "mayday" emergency radio call and attempted to turn back towards the airport. The airplane descended and impacted trees less than a mile northeast of OWP and came to rest inverted. Both wings, ailerons, fuselage, empennage, and tail surfaces were extensively damaged. 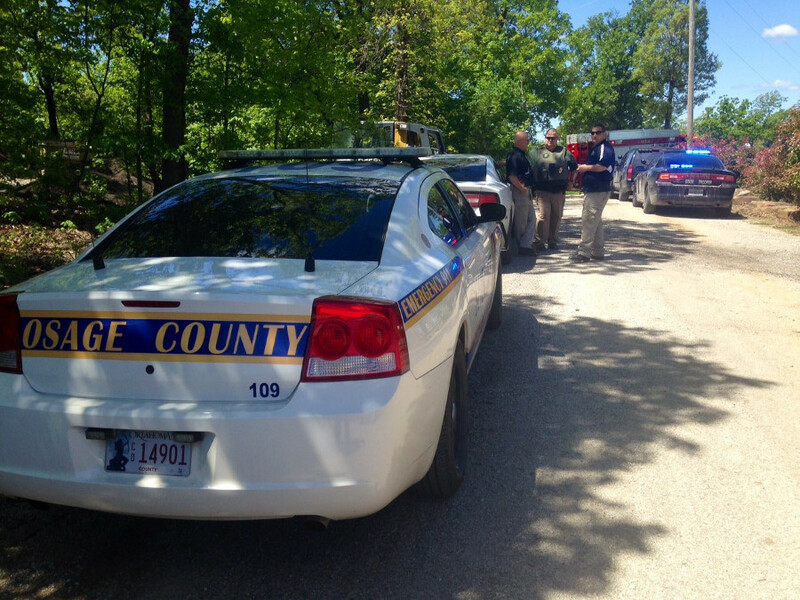 Several witnesses heard the pilot's radio call and responded to the scene. Emergency medical personnel arrived shortly thereafter and extricated the pilot from the wreckage. Federal Aviation Administration (FAA) inspectors from the Oklahoma City, Oklahoma, Flight Standards District Office (FSDO) went to the scene and examined the airplane. According to a conversation with the airworthiness inspector, the fuel tanks had not been compromised. Although the airplane had just received an annual inspection, it had not been flown for nearly a year and the fuel was at least that old. Examination of the fuel in the fuel pump and gascolator revealed only a few drops of fuel and no evidence of water or other contamination. No visible fuel was observed in the left fuel tank, and 10 to 12 ounces of fuel was drained from that sump. The right fuel tank contained a few gallons of fuel, but he was unable to drain/measure due to the wing resting on the hangar floor. The fuel selector was positioned on the left fuel tank. In an e-mail dated May 12, 2016, the pilot said he thought the cause of the loss of engine power was due to fuel starvation because he was operating on bad information from the fuel gauges and overestimated the amount of fuel available in the left tank. 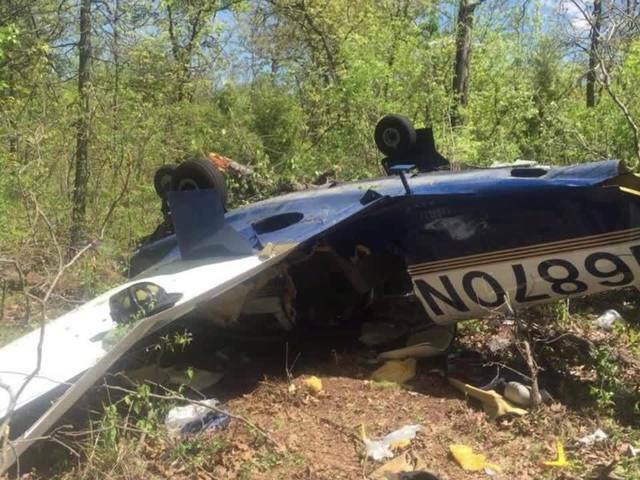 On April 21, 2016, about 1148 central daylight time, a Mooney M20C single-engine airplane, N6870N, was substantially damaged after it impacted trees and terrain during initial climb near William R. Pogue Municipal Airport (OWP), Sand Springs, Oklahoma. The pilot was seriously injured. The airplane was registered to Robert W Brinkley, DO, Inc., PC; Tulsa, Oklahoma and was operated by a private individual, as a 14 Code of Federal Regulations Part 91 personal flight. Visual meteorological conditions (VMC) prevailed and a flight plan had not been filed. At the time of the accident the airplane was departing OWP for a flight to Ponca City Regional Airport (PNC), Ponca City, Oklahoma. The pilot reported that immediately after take-off to the north, the engine coughed and he had a complete loss of engine power. The pilot quickly made a "mayday" emergency radio call. The airplane descended and impacted trees less than a mile to the northeast from OWP. The airplane came to rest inverted and the impacts resulted in substantial damage to both wings, both ailerons, the fuselage, the empennage, and the tail surfaces. Several witnesses heard the radio call and responded to the scene. Emergency medical personnel arrived and extricated the pilot from the wreckage. The closest official weather reporting station was at KTUL, Tulsa, Oklahoma; located 13 miles east from the accident location, At 1153 the automated surface observation system at KTUL reported wind from 320 degrees at 11 knots, visibility 10 miles, few clouds at 4,000 feet above ground level (agl), few clouds at 25,000 feet agl, temperature 21 degrees Celsius (C), dew point 10 degrees C, and an altimeter setting of 29.97 inches of mercury. well, that's ONE who's survived the impossible turn (trying to return to airport after loss of engine on climbout). Judging by the inverted landing, it was pure luck that he survived. Still a very poor ratio, as the denominator is so sadly high. I hope he's recovered and is telling plenty of fellow pilots his lucky brush with death and they learn to avoid this. Straight ahead, even into obstructions with at least some glide and right side up is far more likely to end well than upside down in a straight vertical line.